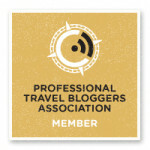 My review of the Norwegian Breakaway is without a doubt the longest review of any cruise ship I have ever had the opportunity to write about for this blog. 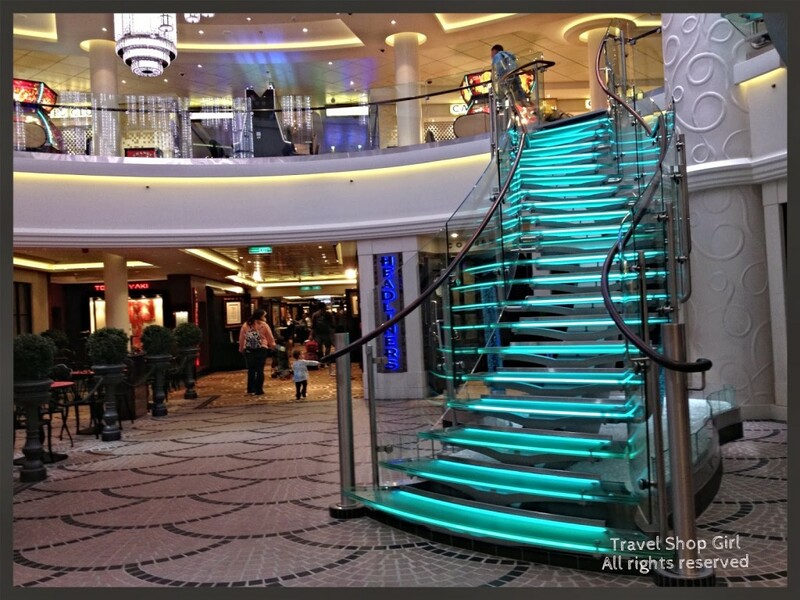 This is part five of my review, which will cover guest services, miscellaneous areas of the ship not covered previously, and my final thoughts. 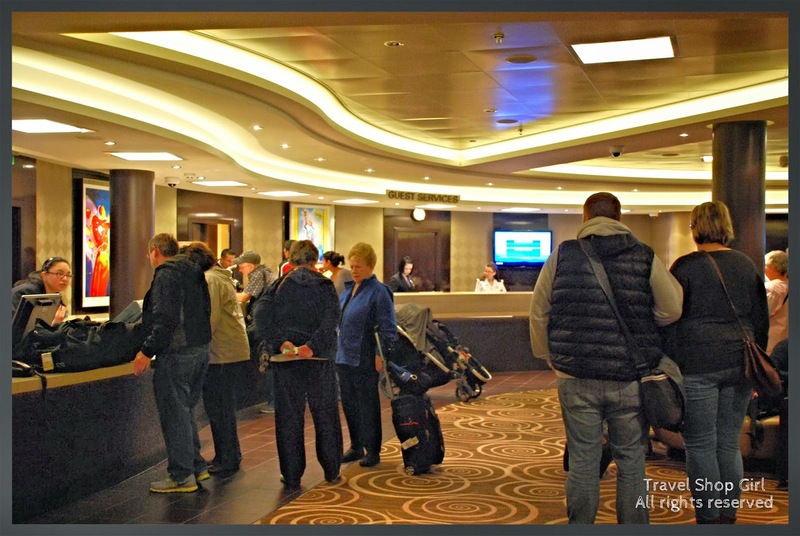 Guest Services: Whether on the Norwegian Breakaway, another Norwegian Cruise Line ship, or another cruise line altogether, if you’re able to handle your reservation online or by phone prior to your cruise, please do it to avoid the awful lines that are always in Guest Services on the first day of your cruise. It’s absolutely no way to spend your first few hours on a ship and many times these things could have been handled before you ever set foot on the ship. However, if you do need assistance, Guest Services is located on deck 6 mid-ship. 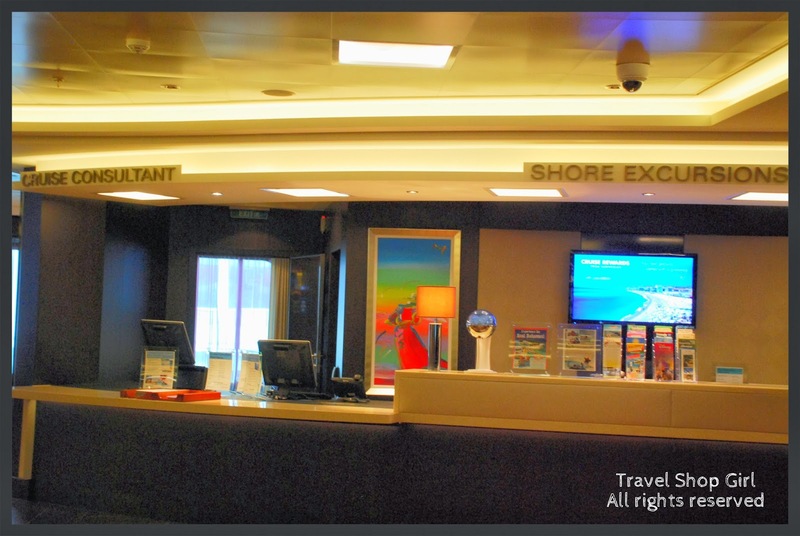 Shore Excursion Desk: If you decide at the last second to book or cancel a shore excursion, you are able to visit the Shore Excursion Desk on deck 6 mid-ship. 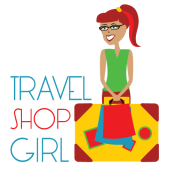 My biggest advice is to research your excursions and book in advance before you board the ship to avoid having to stand in line. 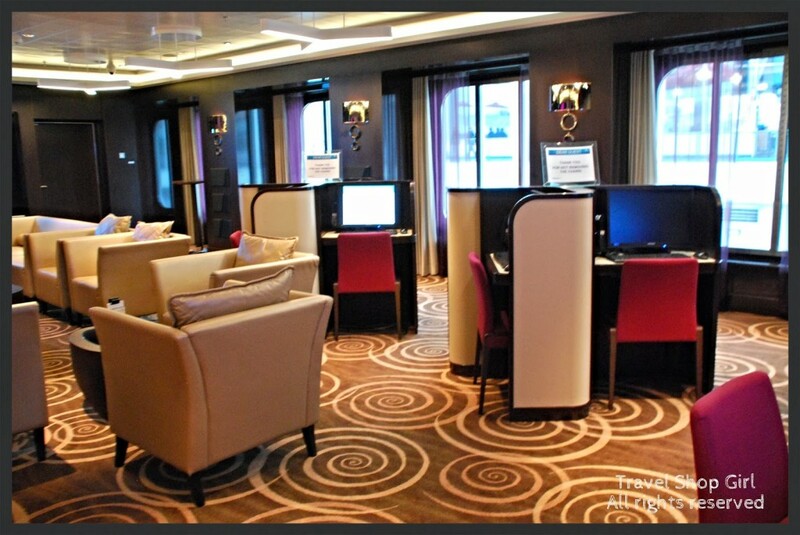 Connect Internet Café: I admire anyone who says that they can completely disconnect from technology on their cruise. That’s so not me! 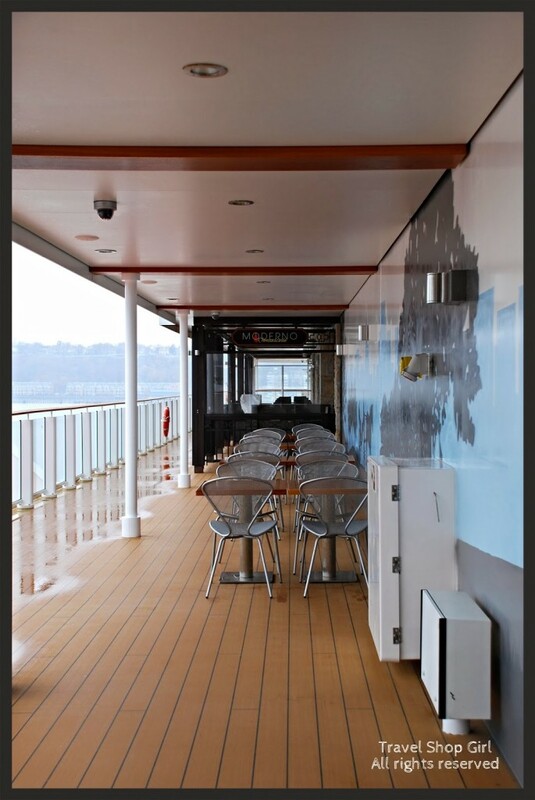 Located adjacent to the Atrium on deck 6, this open area is great for anyone who wants to quickly check out what’s going on back at home. 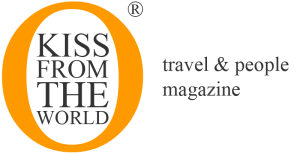 If you’ve come prepared with your own laptop, tablet, or phone, you can pay as you go ($0.75 per minute) or purchase a time package plan for as few as 30 minutes or as many as 250 minutes depending on the length of your cruise. 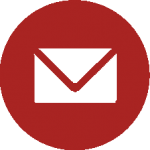 Laptop rentals are also available as well as printers. 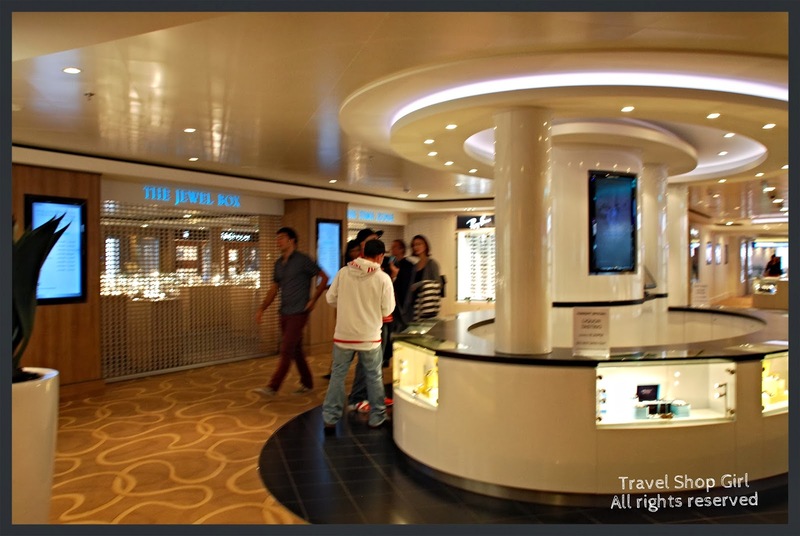 Shopping: For anyone who likes to shop while on cruise, head on over to deck 8 aft and check out the available options. 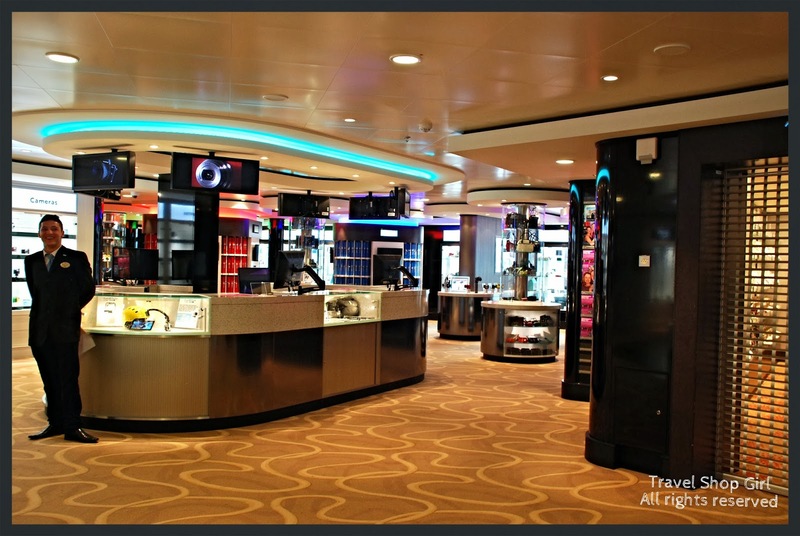 Whether you’re looking for tax and duty free items like jewelry, watches, souvenirs, clothing, handbags, or cosmetics and perfume, you’ll definitely find it onboard in Tradewinds Tax & Duty Free or Tides Boutique. Click Photo Gallery is also located nearby this area. The Atrium: Grab a seat on deck 6 in the Atrium and enjoy either a coffee from the Café or in the Bar. With a three-deck vertical view and a two-story Wii wall, you can relax and chat with a friend, watch a movie, enjoy a sporting event, or do nothing at all. Elevators: The decor, especially the ample lighting in the areas near the elevators, were greatly appreciated and I loved the artwork in and around these areas. 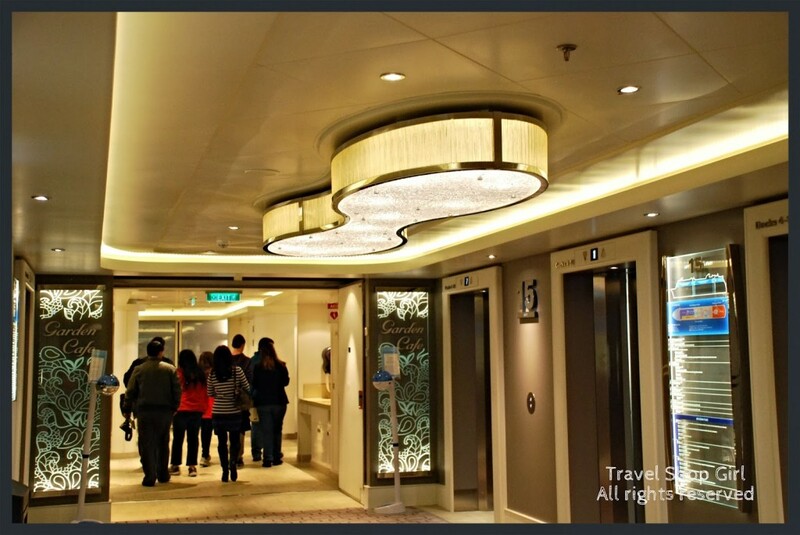 What I didn’t like, unfortunately, was that unlike other cruise ships that indicate what is on the different decks once you’re inside the elevator, the Norwegian Breakaway‘s elevators are streamlined and minimalist. Only the deck number appears inside so if you’re unsure of where you’re going, you better determine that before you step inside. Staircase in 678 Ocean Place: As the name implies, 678 Ocean Place spans decks 6, 7, and 8. The exquisite LED chandelier with light changing effects serves as the centerpiece of 678 Ocean Place with openings to all three decks and glass staircases connecting the levels. The Waterfront: This outdoor boardwalk area has several outdoor dining venues and lounges including Cagney’s on the Waterfront, Shaker’s Cocktail Bar on the Waterfront, La Cucina on the Waterfront, Fat Cats on the Waterfront, Maltings on the Waterfront, Ocean Blue on the Waterfront, Dolce Gelato, Wasabi, and Moderno. Whether you choose to dine indoors or out, you can enjoy a view of the ocean from either location. The view is somewhat obstructed since the lifeboats are attached to the outer deck. As the ship sails from New York City, it does seem somewhat strange to have an expansive boardwalk area when you might face inclement or cold weather on your way to your final destination. On nice days it’s probably a great place to sit and have a drink and something to eat. Overall, I have to say that the Norwegian Breakaway surprised me with many of the great venues that were on the Norwegian Epic. 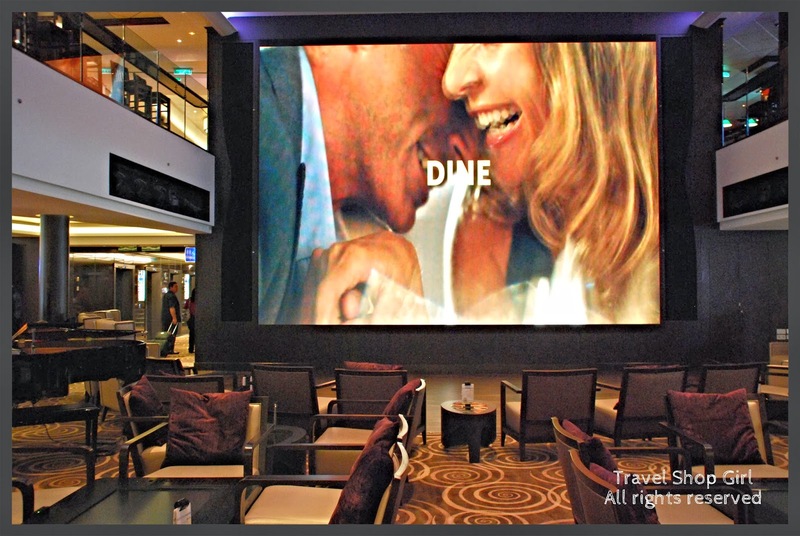 Although some areas do seem congested or smaller than one might like for a ship this size, there are an abundance of entertainment areas onboard to please both children and adults. 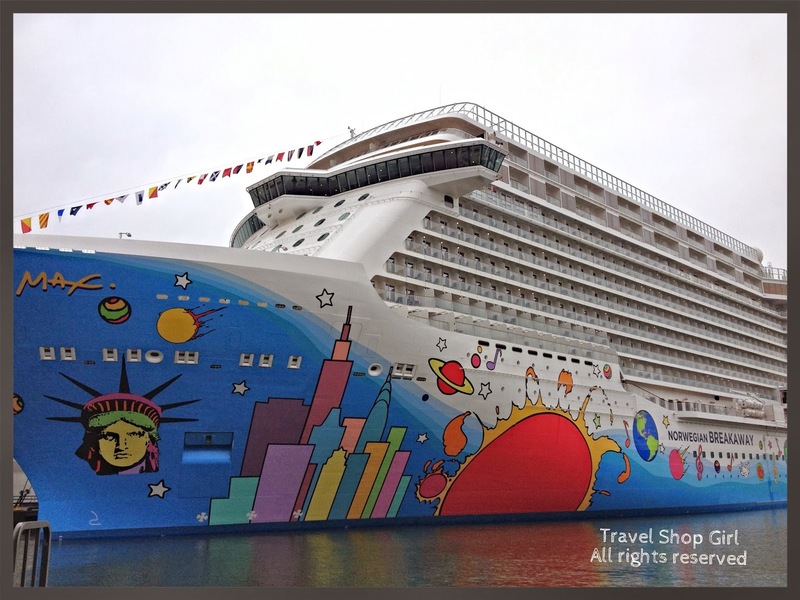 I can definitely recommend the Norwegian Breakaway for families as well as anyone traveling alone or couples. If you’re looking for a quiet, luxury vacation, The Haven is definitely not to be missed. For anyone in the northeast looking to venture out onto a new cruise ship, you should definitely consider the Breakaway for your next Bermuda or Bahamas cruise.